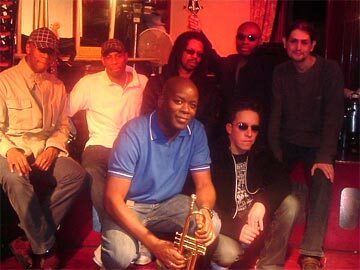 Ska warriors Natural Rhythm play the Trades Club on Saturday June 20th promising a storm of bluebeat. Ska and rock steady beats. In the early 1990’s Natural Rhythm left their Bradford base to tour all over Britain and Europe establishing themselves as one of best home-grown ska bands with their raw debut album ‘Bluebeat and Ska.’. But real world commitments forced them to split up but now they’re back dubbing themselves ‘ska warriors who take no prisoners.’ The recent sell out tour by ska legends The Specials proved bluebeat is as popular as ever and the addition of a horn section has give Natural Rhythm an even bigger sound to shank along to. Steve Tilston hosts another of his popular Trades Roots nights on Thursday June 18th featuring the BBC folk musician of the year Tom McConville. 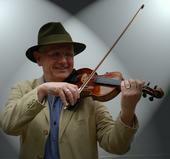 Tom is primarily known as The Newcastle Fiddler but as well being one of the leading fiddle players of his generation he is also a virtuoso musician with a distinctive vocal style. His unique interpretations of traditional and contemporary songs has won Tom a worldwide fan base. A top quality bill is completed by Dave Newey who also been a finalist in the BBC folk musician awards. The Calder Valley has always spawned amazing R n B bands from the Burlees Blues Band to the Mighty Inseminators and Souled Out have joined that West Yorkshire soul hall of fame. Souled Out make a welcome return to the club on Friday June 19th with a set packed full of souls and R n B but it’s not all golden oldies as they throw in a few Amy Winehouse numbers as a tribute to the troubled soultress. “The recent success of The Specials shows ska has a special place in our hearts and a reformed Natural Rhythm are guaranteed to fill the dancefloor with their raw ska tunes,” says Trades club Spokesperson Paul Clarke. “I’m always amazed at the quality of acts Steve Tilston manages to bring to the valley so getting Tom McConville is a real coup as he is seen by all the pundits as the most creative and electrifying fiddler on the circuit.